The Antichrist in the Bible can be described as a spirit (1 John 4:3), a man, and a kingdom. We are going to be focusing in on the man and the kingdom of the Antichrist during this study. Rev 13:1 – 8 And I stood upon the sand of the sea, and saw a beast rise up out of the sea, having seven heads and ten horns, and upon his horns ten crowns, and upon his heads the name of blasphemy. And the beast which I saw was like unto a leopard, and his feet were as the feet of a bear, and his mouth as the mouth of a lion: and the dragon gave him his power, and his seat, and great authority. And I saw one of his heads as it were wounded to death; and his deadly wound was healed: and all the world wondered after the beast. And they worshiped the dragon which gave power unto the beast: and they worshiped the beast, saying, Who is like unto the beast? who is able to make war with him? And there was given unto him a mouth speaking great things and blasphemies; and power was given unto him to continue forty and two months. And he opened his mouth in blasphemy against God, to blaspheme his name, and his tabernacle, and them that dwell in heaven. And it was given unto him to make war with the saints, and to overcome them: and power was given him over all kindreds, and tongues, and nations. And all that dwell upon the earth shall worship him, whose names are not written in the book of life of the Lamb slain from the foundation of the world. There will be a man that comes in the flesh whom many call “ Antichrist” because he exemplifies the very spirit spoken of in John’s epistles, that which opposes Christ. I will use that title in this article for tradition’s sake but there are many other titles that he has throughout the Bible which shed more light on who he is and what he is to do. In Daniel he is called the “little horn” and the “king of fierce countenance”. He is called a “false christ” in Matthew. He is described by Paul as the “man of sin” and “son of perdition”. In Revelation he and his kingdom are called the “Beast”. 2Th 2:3, 4 Let no man deceive you by any means: for that day shall not come, except there come a falling away first, and that man of sin be revealed, the son of perdition; Who opposeth and exalteth himself above all that is called God, or that is worshiped; so that he as God sitteth in the temple of God, showing himself that he is God. Rev 11:1-2 ESV Then I was given a measuring rod like a staff, and I was told, “Rise and measure the temple of God and the altar and those who worship there, (2) but do not measure the court outside the temple; leave that out, for it is given over to the nations, and they will trample the holy city for forty-two months. So there will be a temple, an altar on which the daily sacrifice will resume, and the outer court. This outer court and the city of Jerusalem will be occupied by non-Jews for 42 months. It seems most likely that a sharing arrangement will take place with the Muslims on the Temple Mount. Both the Dome of the Rock and Al-Aqsa Mosque will remain, in the outer court, while a Jewish temple will be rebuilt next to it on the mount. This event is called the Abomination of Desolation. The Antichrist will go into God’s temple and claim to be God. Dan 11:36-37 AMP And the king shall do according to his will; he shall exalt himself and magnify himself above every god and shall speak astonishing things against the God of gods and shall prosper till the indignation be accomplished, for that which is determined [by God] shall be done. (37) He shall not regard the gods of his fathers or Him [to Whom] women desire [to give birth–the Messiah] or any other god, for he shall magnify himself above all. The Antichrist will probably say that Jesus was just one of his many servants, as were Buddha, Mohammed, Krishna , and all the other religious leaders. The Antichrist man will eventually act like the God of all these religions and the messiah that was expected to come. The Buddhists are looking for a messiah figure to come called Maitreya. The Muslims are looking for a messiah figure called Mahdi. The Jews are still looking for the Messiah because they did not receive Jesus. Christianity will be looking for Jesus to return. If Christians do not know the nature in which Jesus is returning, in the clouds with all His saints and angels, then they will be deceived by this impostor All these religions are all being set up by the spirit of Antichrist to accept the man we call Antichrist. New Age and the Masons try to blend all the religions of the world into one saying they are all true (which is a horrendous lie) and this is the kind of thinking that the Antichrist will promote. Rev 13:11, 12 And I beheld another beast coming up out of the earth; and he had two horns like a lamb, and he spake as a dragon. And he exerciseth all the power of the first beast before him, and causeth the earth and them which dwell therein to worship the first beast , whose deadly wound was healed. The Antichrist’s prophet, the one like a lamb but speaks as a dragon, will say that the religions of the world need to stop fighting one another because all the religions have always been worshiping the same god, the Antichrist This terrible lie will make sense to the world and they will fall into the trap. The Antichrist man will be exalted on two fronts: politically and religiously. The Antichrist man will mostly head up the political arena and the prophet of the Antichrist will head up the religious arena saying that all men must worship the Antichrist. Rev 13:14, 15 And deceiveth them that dwell on the earth by the means of those miracles which he had power to do in the sight of the beast; saying to them that dwell on the earth, that they should make an image to the beast , which had the wound by a sword, and did live. And he had power to give life unto the image of the beast, that the image of the beast should both speak, and cause that as many as would not worship the image of the beast should be killed. 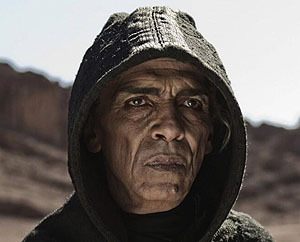 The false prophet will be a religious leader who will try to tell all the world’s religion that the Antichrist is God and is worthy to be worshiped. If they do not worship the Image of the Beast, possibly set up through the internet, smart phones, and smart televisions, they will eventually be killed. Rev 13:16, 17 And he causeth all, both small and great, rich and poor, free and bond, to receive a mark in their right hand, or in their foreheads: And that no man might buy or sell, save he that had the mark, or the name of the beast, or the number of his name. It will be required for all men to receive either a mark, or the name of the Antichrist or the number of his name (666) on their right hand or forehead if they want to buy or sell anything. We already have the technology to make such a concept happen. We are close to this time period and I believe we very well could see the end come to pass in our life times. Dan 8:23 – 25 And in the latter time of their kingdom, when the transgressors are come to the full, a king of fierce countenance, and understanding dark sentences, shall stand up. And his power shall be mighty, but not by his own power: and he shall destroy wonderfully, and shall prosper, and practice, and shall destroy the mighty and the holy people. And through his policy also he shall cause craft to prosper in his hand; and he shall magnify himself in his heart, and by peace shall destroy many: he shall also stand up against the Prince of princes; but he shall be broken without hand. 2Th 2:6-8 ESV And you know what is restraining him now so that he may be revealed in his time. (7) For the mystery of lawlessness is already at work. Only he who now restrains it will do so until he is out of the way. (8) And then the lawless one will be revealed, whom the Lord Jesus will kill with the breath of his mouth and bring to nothing by the appearance of his coming. These verses show that the man of sin will be revealed after “he who now restrains” is taken out of the way. (We, the Body of Jesus Christ, will be here during this whole revealing of the Antichrist.) Some say it is an angel, others the Holy Spirit, and others the Church. But none of these fit the context of what Paul is saying here. 2Th 2:6 AMP And now you know what is restraining him [from being revealed at this time]; it is so that he may be manifested (revealed) in his own [appointed] time. The spirit of deception is restraining the revelation of the Antichrist. It is NOT talking about something or someone restraining the Antichrist as what has traditionally been taught. It is THE REVEALING of the Antichrist that is being withheld; go read 2 Thess. 2:3-12 again and see if I’m not telling you the truth. When the spirit of deception is taken out of the way by God, then the Antichrist will be revealed! CONTINUED ON THE NEXT PAGE….